Tue., Jan. 3, 2017, 6 a.m. The power of a single word can be immeasurable. We often hear or read the phrase “small but mighty.” Yet when we change that to “small and mighty,” the transformation in meaning is powerful. I have the privilege of teaching in a small, rural school in the stunning and prosperous wheat fields of Lincoln County. Harrington School is teeming with the laughter and energy of 127 preschool through 12th grade students in a town of just over 400 residents. My path to Harrington was long and varied. As an educator with over 25 years of experience I have taught in schools with only 50 students. I have also taught in schools with over 3,200 students. But I’ve always been drawn to the power of a small school. I know every one of my students and every one of my staff members and most of our parents. On any day, I can enjoy a complex and stimulating lesson in calculus and then walk down the hall and read aloud to an amazingly cute and wiggly group of 5-year-olds. That is the joy of a small school. The town of Harrington takes great pride in its school, and our students take great pride in their town. A few times a year, our entire school spills out into her streets to participate in a community cleanup day – picking up trash, sweeping sidewalks and washing windows. Our Honor Society students work with our Chamber of Commerce to deliver care packages to the town’s senior citizens. In many ways, entering Harrington is like walking back into 1950s America, yet we are also moving forward. Our school now has a robotics program and our town has free high-speed fiber optic internet connectivity in its business district. Some reading this might think that none of this sounds special or different. But given that many small, rural farming communities across America are slowly disappearing, a vibrant, growing farming town openly challenges that trend. I was born and raised in a very large city. My career, however, has continued to find me moving to smaller and smaller venues. I would not want it any other way. The amazingly kind students, the gracious people, the continual peace, the constant safety, the unstoppable potential – they are all a critical aspect of the delight I find daily working in Harrington. I am thankful I get to work here; I don’t dread that I have to work here. All these pieces work together to make us mighty. When we say “small but mighty” we are implying that being small is a weakness, a flaw, a failing. However, when we say “small and mighty,” we are embracing the vigor of being small, the rewards of being small, and the splendor of being small. Harrington School – tiny, remote, rural – is also compassionate, adept, malleable, and promising. We are small AND mighty! 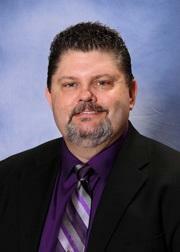 Justin Bradford is superintendent/principal of Harrington School in Harrington, Washington. Published: Jan. 3, 2017, 6 a.m.